Lance and Donnie are fired up about the Global Poker Awards - and not just because they were nominated for Podcast of the Year. Back from Las Vegas, Lance Bradley and Donnie Peters discuss their takeaways from the World Poker Tour final tables at Luxor and how they’re maybe not as fan-friendly as we were lead to believe when the company announced the decision to move all TV final tables to Sin City. They also review not only the nominees for the Global Poker Awards, but offer suggestions on ways to vastly improve the shortlist and nomination process. As a hot of a topic as the GPAs are, Lance and Donnie also go over some of the people who were snubbed and some of the people who got nominated despite not having a body of work worthy of that honor. 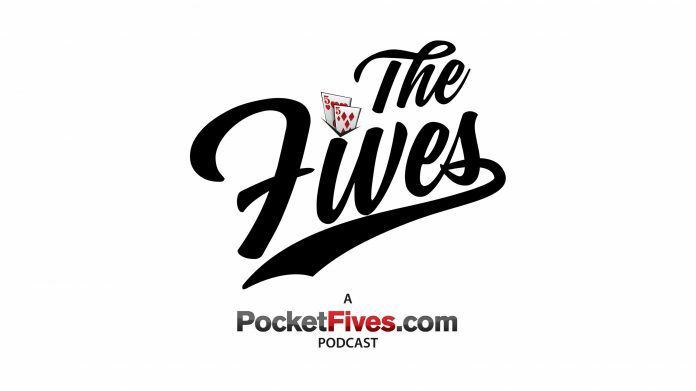 And it wouldn’t be an episode of The Fives in 2019 if they didn’t discuss the dwindling attendance in the PokerStars Sunday Million.